“Lars got his start in radio at age 16 spinning records (remember 45s?) and reading news, sports and weather (twice an hour) on KTIL (The Mighty 1590) from a little cinderblock building on the edge of a cow pasture in Tillamook, Oregon. 37 years later, he’s only moved 75 miles east to Portland and light years to “the Right”. 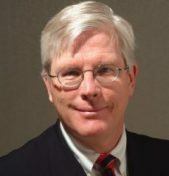 Emmy and Peabody award winner Lars Larson brings nearly four decades of experience as a radio and television journalist to the microphone for six hours of the best conversation in talk journalism. 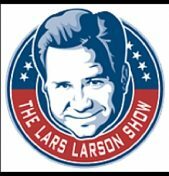 Six hours of daily prep keep The Lars Larson Show on top of the news and top-of-mind for listeners across the country. Along the way, Lars has worked for more than a dozen radio stations and five television stations. Today, Lars holds down the fort from 12pm – 4pm PST on the Radio Northwest Network’s flagship station FM News 101 KXL. 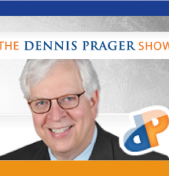 His local talk show airs on 17 stations in the Pacific Northwest; the biggest local talk radio audience in the region. The national Lars Larson Show, syndicated by Compass Media Networkslaunched on September 1, 2003 with 105 stations and grew nearly 50% in the first four months. After 10 years, the show continues to grow and Lars currently has multi-year contracts with both Compass Media Networks and Alpha Broadcasting. He’s a weekly guest on Fox News, and has appeared on “The O’Reilly Factor”, “Larry King”, “Scarborough Country”, “Fox and Friends,” BBC radio and countless local radio shows around the United States. Lars can also be seen doing his weekly commentary for KGW News Channel 8 in Portland. When the microphone and TV cameras are off, Tina and Lars travel around the northwest with their two Scotty dogs Bordie and Merlo. They enjoy life on an acre and a half in Vancouver where Tina’s summertime gardens produce more than the family can eat.